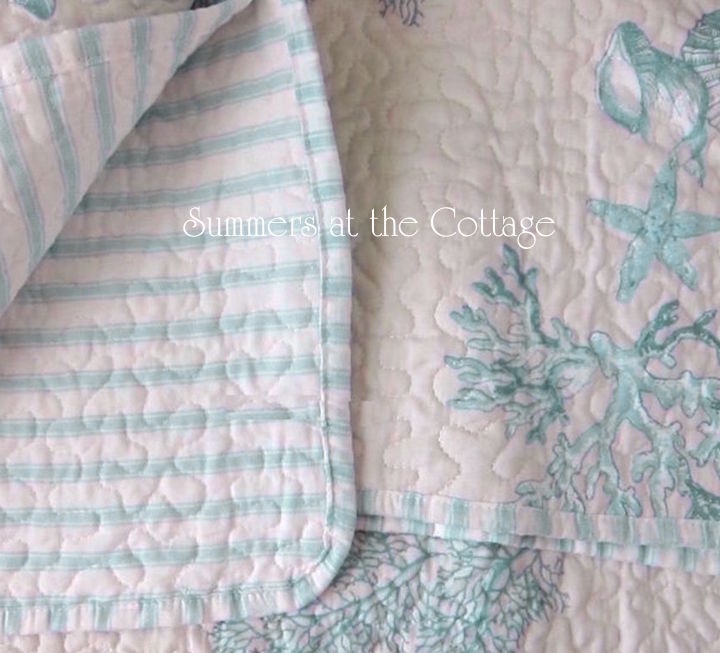 Dreaming of a cozy beach house seaside cottage with soothing waves of crystal aqua blue waters and white sands. 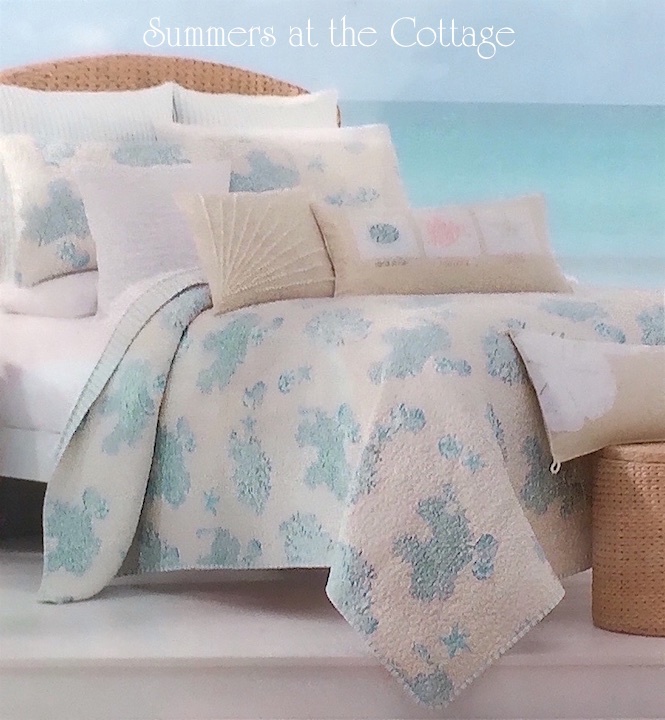 This stunningly beautiful coastal living bedding with a sea glass aqua blue coral reef and seashells design on linen white will create a beach seaside oasis even if you don't have an ocean view. Dreams of beachside island living as you daydream in a bedroom with these gorgeous colors. Soft aqua blue against linen white is always the perfect combination by the shore and reverses to a beachy cabana stripe design. 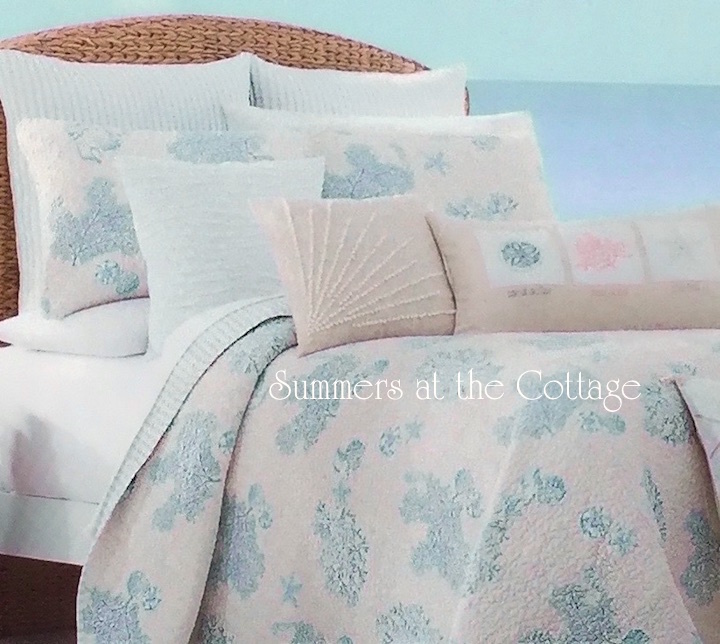 This is the softest bedding with 100% cotton fabric and truly one of the most beautiful designs ever! 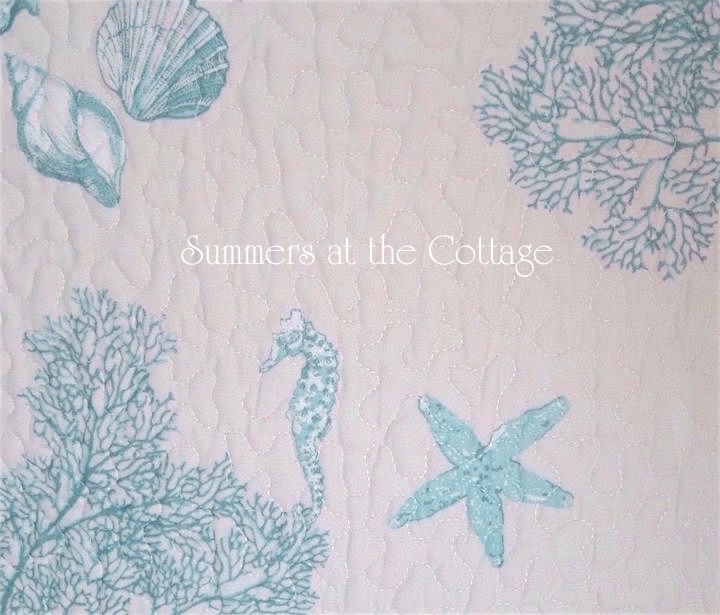 For your master bedroom or coastal bungalow quest room. Perfect in any setting. Queen Quilt Set Includes Queen Quilt (88 x 92 inches) and 2 matching standard shams (21 x 27 inches).